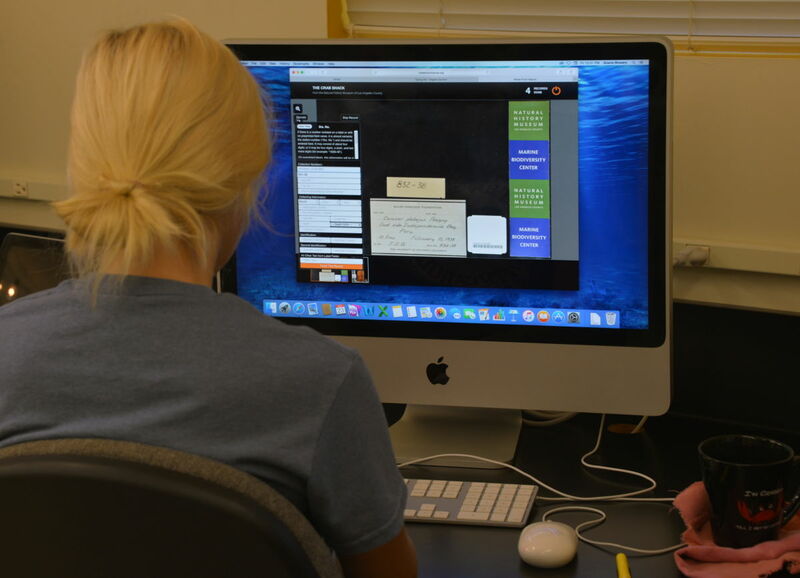 It was a very exciting past few days as Notes From Nature participated in WeDigBio. The event was a great success and you can see lots of photos and reports from the event on Twitter and Facebook. The WeDigBio site also has some really nice visualizations showing where people were working during the event and the overall transcription progress. A Crab Shack participant’s eye view of digitizing a crab specimen, one of dozens of digitized at the Marine Biodiversity Center of the Natural History Museum of Los Angeles County’s event for the WeDigBio digitizing blitz. We want to offer our sincere appreciation for all those that made this event possible and especially to the volunteers who stepped up and helped us meet not one, but two challenge goals for the event! The WeDigBio team started out with a goal of completing 25,000 transcriptions for the entire event using all the transcription platforms. After that milestone was met the goal was raised to 30,000 transcriptions. The event ended with well over 34,000 transcriptions! The official count for transcriptions completed using Notes From Nature was 9,980! This is simply incredible and the Notes From Nature team is so very thankful for these efforts. The number could actually be as many as 1,500 transcriptions higher since there were some glitches that prevented some transcriptions from getting counted on the first day. The transcriptions themselves are saved, it was a glitch with the visualizations on the WeDigBio page. 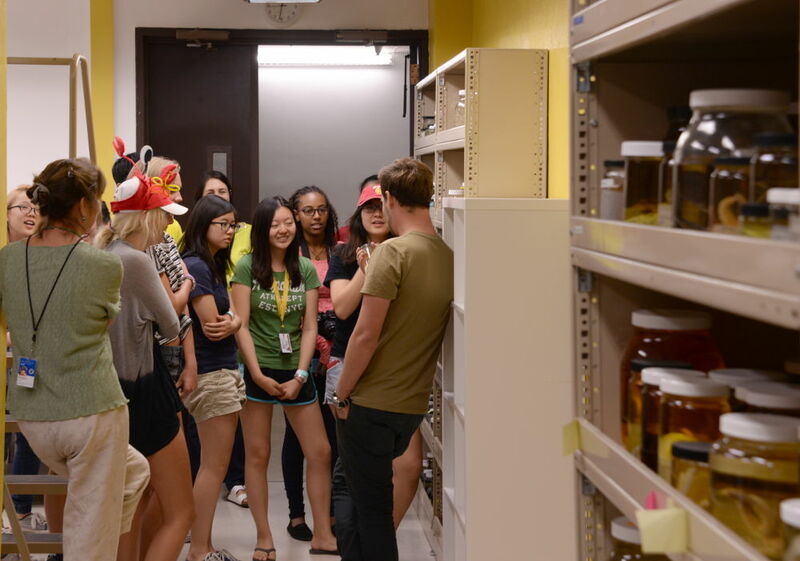 Adam Wall, of the Crustacea Section at the Natural History Museum of Los Angeles County, orients participants in the Crab Shack digitizing event on what they’ll see inside the research storage facility. While these numbers are amazing, we are also thrilled with many of the less tangible aspects of the event such the interactions between the museum curators and citizen scientists that occurring during the onsite gatherings. We hope to see you all for the second annual WeDigBio event in 2016!